Kids will enjoy Dolphin & Whale Watching and Mary Cairncross Scenic Reserve. 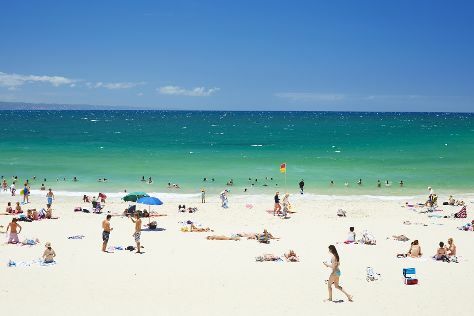 Visit Noosa Main Beach and Mooloolaba Beach for some beach relaxation. Explore the numerous day-trip ideas around Noosa: Thrill Hill Waterslide (in Woombye), Australia Zoo (in Beerwah) and Kings Beach (in Caloundra). Spend the 9th (Mon) exploring nature at Noosa National Park. There's more to do: kick back and relax at Peregian Beach. To see ratings, where to stay, and more tourist information, read our Noosa trip planner . If you are flying in from New Zealand, the closest major airports are Brisbane International Airport and Gold Coast Airport. Finish your sightseeing early on the 13th (Fri) so you can travel back home.